From September 2014, the government has introduced universal free school meals for pupils in these year groups. The government recognises the importance of good food and good nutrition to help improve concentration and energy levels, which can help pupils get through a busy school day, so they are also introducing nutritional standards. For every pupil that receives free school meals, we receive pupil premium funding, which helps us to provide the support many of our children benefit from. So we still need you to fill in a form for free school meals if your pupil is in one of these year groups. This also means your child will get free milk. If your child is in one of these year groups, you will have received a letter explaining this and a form to fill in. The letter also explains how you can find out more about school meals. If you need any help with this, please get in touch. Ask at the office to see if your child is eligible for Free School Meals at any time no matter how old they are. Forms are available from the school office for you to complete. School office staff are always happy to help you complete your form and will even submit it for you. 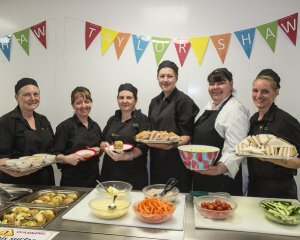 Our Kitchen staff are employed by Taylor Shaw. 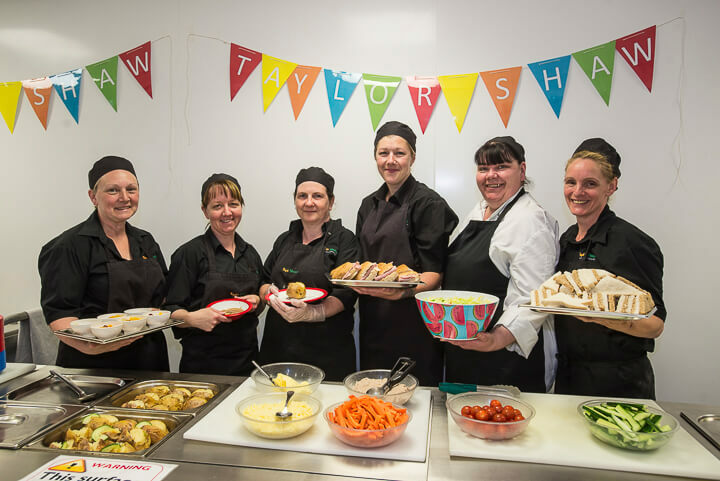 All our meals are carefully planned and thought out to meet the needs of the children in our school. Cooked meals cost £2.00. You may be entitled to “free school meals”. You should apply to see if you are eligible even if your child has sandwiches. This is because the school could offer more for the children entitled to free school meals. Pick up a form at the school office. The school menu will change every so often but for now the menu at school works on a three week rota. There is a menu for your to view in Reception and you can also have a copy to take home. On top of all this we have a well stocked salad bar full of things like: tomato and cucumber salads, pasta salads, chopped peppers, coleslaw and much more!